The White Rabbit is housed in a stand-alone renovated 1940s chapel enclosed by the greenery of Dempsey Hill. Chef Benjamin Tan's rendering of many French Classic dishes will lift your soul and entice your taste buds. 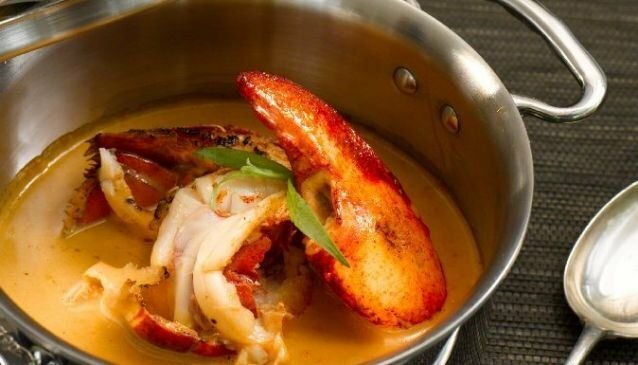 Some of the restaurant's signatures: Wagyu Carpaccio with its scrumptious truffle slices; Classic Lobster Bisque served with half a Maine lobster, tarragon and sherry; Pigeon tights seated on a half mushroom. As a side dish don't miss the Risotto served with grilled parmesan. It's tender and creamy to perfection. The White Rabbit is also a relaxing place to enjoy a hearty brunch on week-ends.